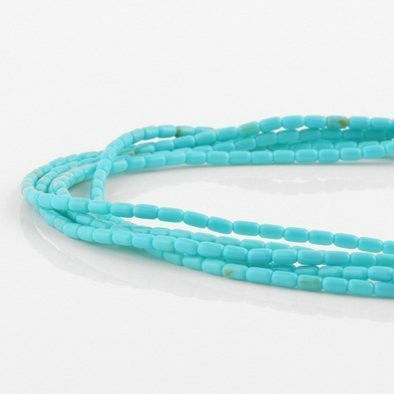 Man-made or synthetic turquoise is almost indistinguishable from natural turquoise. 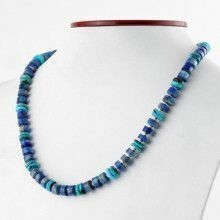 The process involves coating a white gemstone with a resin coating. 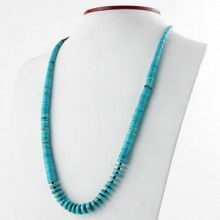 For those who love turquoise but don't have the money to invest in a natural piece this is a perfect substitute. 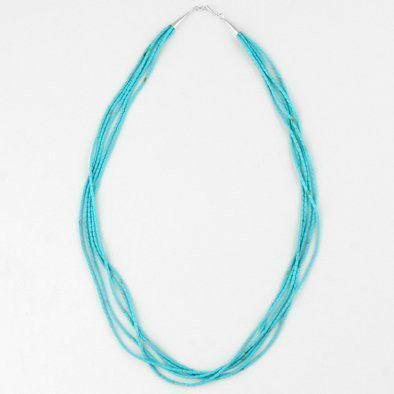 The necklace features five strands which measure just over 1/8" in width. 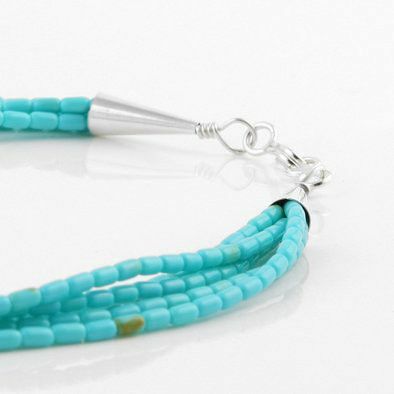 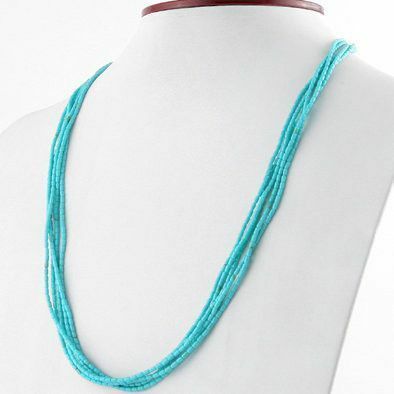 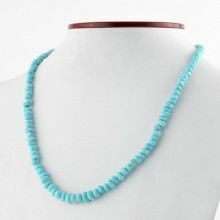 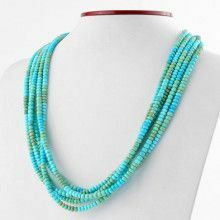 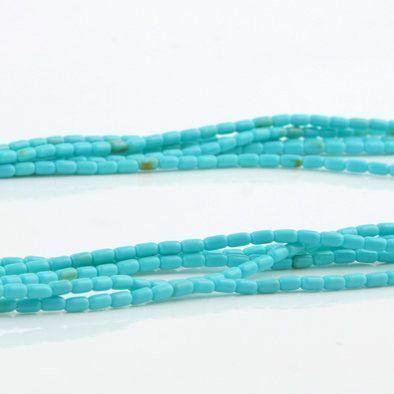 The length of the entire necklace is 24", these man-made turquoise pieces feature .925 sterling silver.